How do you create that start-up feeling in your company? Instinctively we know innovation and R&D “departments” are outdated. We know that most of the structure and processes behind them are counterintuitive, and their output, nothing less than futile attempts to jolt a company out of organizational limbo. Many of them and discontinued, or worse, kept alive by artificial departmental respiration only to succumb to future budget constraints. So, how do you rekindle your innovation efforts? How can you start collaborating with the frontrunners of innovation – the agile and risk-taking startups – and thus inspire dramatically new thinking within your own organization? And how do you attract the right teams to join you, and encourage employees to co-create and learn from startups? 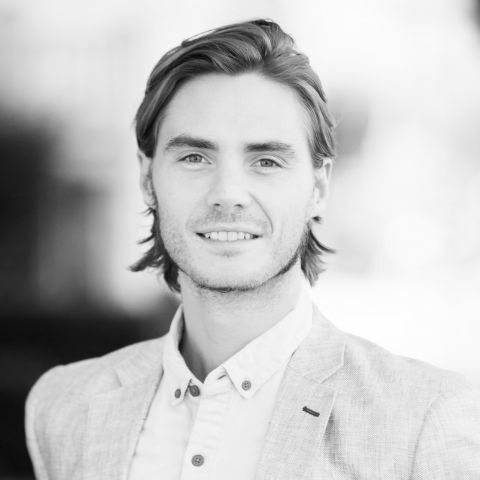 Over the last 3 years Innovation Lab’s Norwegian agent Marcus Hølland Eikeland has been working to launch the most successful accelerator programs and incubators for the financial sector. He is also a part of one of the worlds biggest seed accelerators, Startup Weekend, where he travels the world to teach a new generation of innovators to become successful entrepreneurs. He shares his experiences and leads the participants to draw their own conclusions. Marcus works across management, business and digitalization and has more than 8 years experience in the field. Today he designs, builds and runs corporate accelerator programs and connect forward-looking companies with transformative technologies such as Blockchain, IoT, A.I, and VR. Among his clients are Sparebank1 SR-Bank, Maersk, Katapult Accelerator, Hyper Island, Techstars and Startup Weekend.